Each change of the season brings new maintenance needs to homeowners. This means that for you, as a Contractor, each new season brings opportunities to touch base with your customers and put your expertise at the front of their minds. 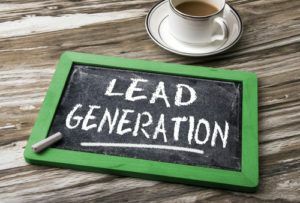 As summer comes to a close, it is time to execute your fall lead generation efforts to ensure cash flow through the slow season. Educate. Timing is everything, and as fall approaches quickly, this is the time you will want to remind your audience of the importance of avoiding procrastination. This is an excellent time to take advantage of gently reminding your audience of the destruction that can occur when winter hits if a home has not been properly prepared for the colder months. Incentivize. In all likelihood, your past customers are surrounded by potential future customers. To make the most of your fall lead generation efforts, incentivize customers with whom you have already done business by offering a referral discount or integrate a type of loyalty program if they become repeat customers. Both forms of incentives should be easy to track in terms of ROI, and you should begin to notice trends in demographics and geographic locations with little effort once the incentive programs take root. Include Testimonials. Consumers are smart. In today’s world, they have ample ability to research companies long before they choose to do business with them. By including testimonials in your fall lead generation mailers, you are offering your audience a firsthand look into other customers’ experiences, which means you are doing some of the reputation legwork for them. Are you seeking assistance creating a successful fall lead generation campaign? Our team at Continuity Programs is always ready to help! Review our contractor marketing services, and contact us when you’re ready save time and money.